One of the most challenging yet rewarding of dishes to cook at home can be your favorite at-restaurant classics. You certainly don’t want it to fall short of the basest restaurant-made version of it, but you’re at the liberty to interpret it in any fashion you like. Have it your way, so to speak. I decided to tackle two of these eaten-out archetypes and lump them into one, if only to avoid the risk of the former fate because this dish doesn’t actually exist in any restaurant I’ve been to. A “cheeseburger dumpling” — it’s something I’d thought of but never got around to making for a while. 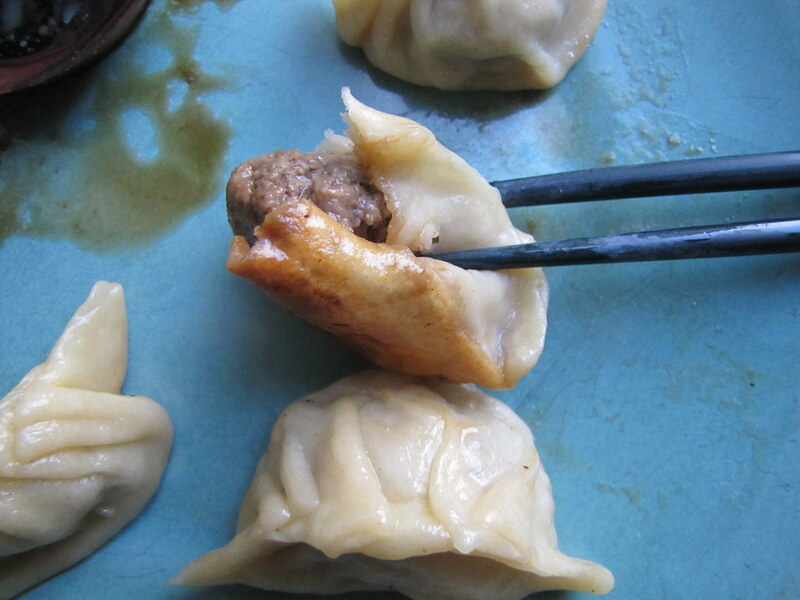 Rather than ground pork, the most common meat in Chinese potsticker dumplings (jiaozi or guotie), they would have seasoned ground beef, and some cheese and other condiments typical of America’s favorite fast food, rather than Asia’s. I’m not much of a meaty eater anymore, but the occasion finally arose on New Year’s Eve, a night that seemed fit to throw a dumpling-making party. Most of the dumpling made at this party were vegetarian, as many of the guests were, too. But this cross-cultural creation just seemed too tasty to resist, and I had all the makings for a pretty good go at it. First upgrade from the average cheeseburger: grinding up my own meat. 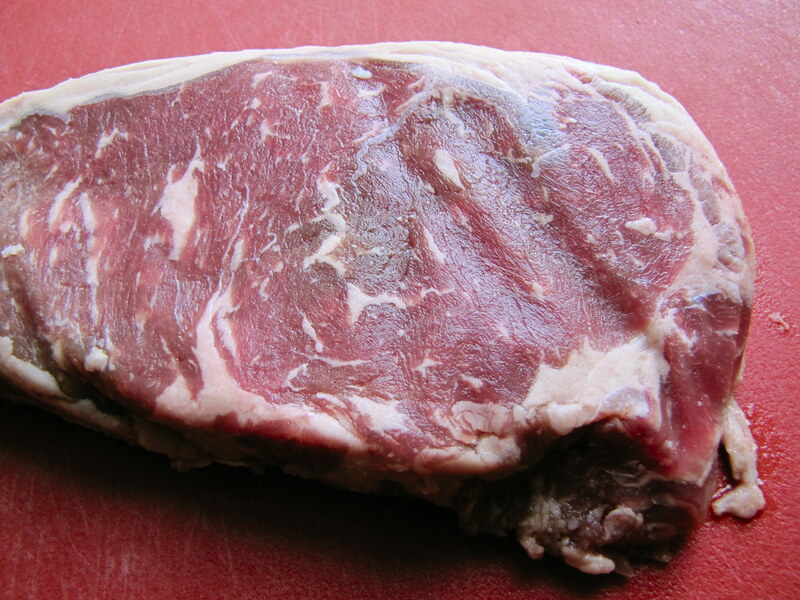 I got some organic sirloin steaks from Greensbury, which were well-marbled, with a hefty ratio of fat to flesh. That’s a good steak. Now why would I want to mess with a good thing like that? Well, it also makes for some great ground beef. And this way, I could manipulate the fat content, too. So I trimmed the edges of this steak from excess fat, and cut away bits and pieces of it as I cubed it up, too. When I was done, I’d say the fat content looked somewhere around 15% rather than 20% (I’m trying to lose some excess fat myself as a New Year’s resolution). If you’re chopping up steak for this yourself, feel free to add or take away as much as you prefer. 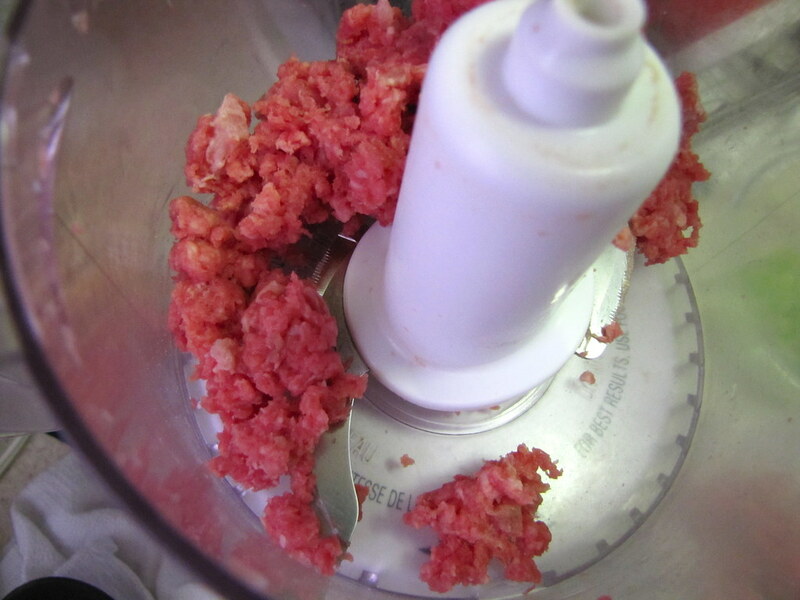 Next, it went into the food processor, just a regular food processor, no meat grinder necessary. After a minute or so of pulsing, it was minced to perfection. 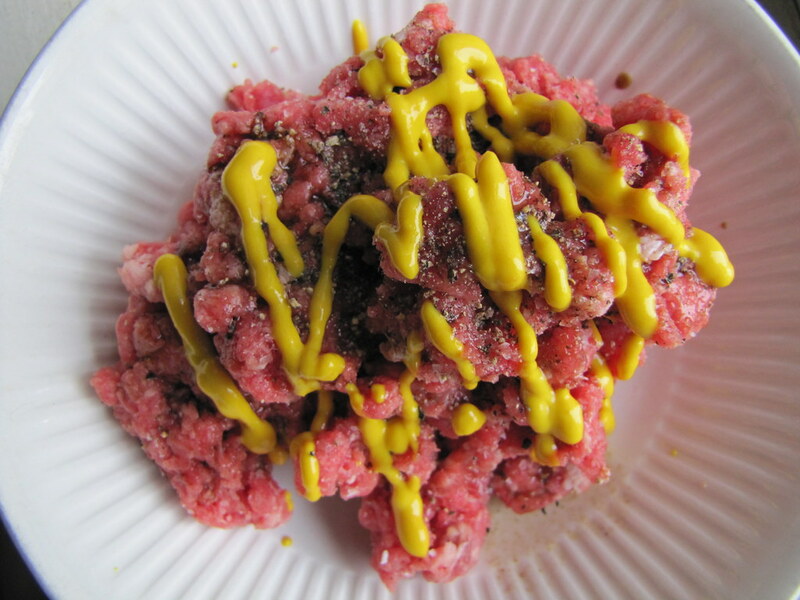 The seasonings came next, and here you can add whatever you like putting in your hamburger meat; mine got salt, pepper, a few splashes of Worcestershire sauce and some mustard. Minced onions are fine, too, if that’s what you like. But I thought I’d caramelize some onion rings to stuff into the dumplings on top of the meat. A good block of sharp cheddar, my favorite for cheeseburgers, was shredded up and folded into the meat mixture. Care for Swiss, or provolone? Whatever floats your boat. Making homemade dough is not as difficult as it sounds. It constitutes just flour and water, and I’ve found that the perfect ratio of them for about 20-25 dumpling wrappers is one cup of all-purpose flour, and half a cup of cold water. Swirl the water into a large bowl of the flour with your hands and mash it up until you have a workable dough. Knead for five to six minutes, until the ball is silky-smooth, and let it rest for another five. Flour a cutting board and pull off a small, roughly one-ounce knob of the dough. Smash it into a circle on the board and with a floured rolling pin, press out toward the edges until you have a round sheet roughly three to four inches in diameter (the edges should be thinner than the center of the round). Don’t wait to use this dumpling round too long as it’ll dry out by the second. The next part is not as easy to explain: filling the dumplings and folding them shut. It’s true, you can have fun making this happen in any fashion you please, but you want to keep in mind that the finished dumpling should have a definite bottom it can sit upright on, so to get as much surface crisp (everyone’s favorite part) when it cooks on a pan. 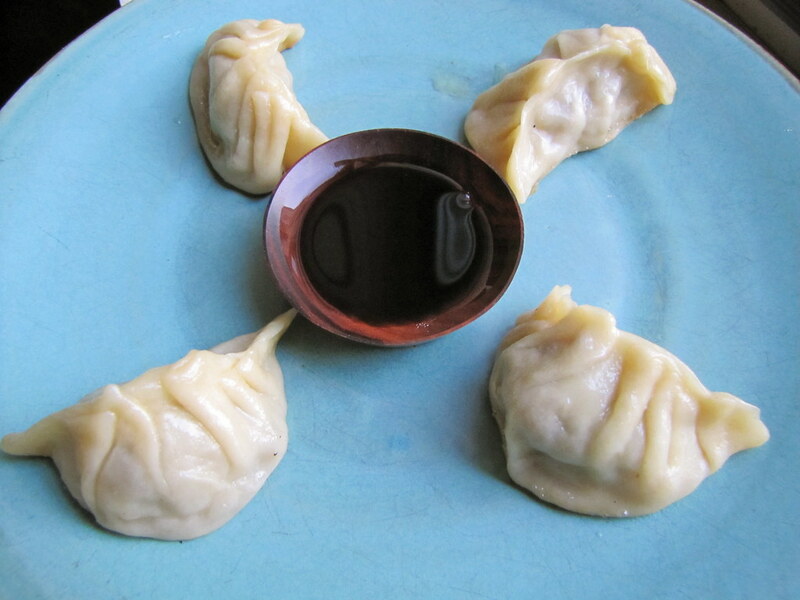 So, as I’ve tried to explain in this post, as well as in a couple dumpling classes I’ve taught, you start out by placing a small scoop of the filling in the center of the wrapper. Pinch two opposite edges of the wrapper across the middle of the filling lump, and start crimping to one side of the pinch with three or four folds. Do the same to the other side of the pinch. You don’t need to use water to make fresh dough seal together, it’s sticky enough as it is. When it’s all sealed and done, the dumpling should have a crescent shape and sit flat with the sealed edge at the top. The process was made a bit trickier with the addition of the caramelized onions, which sat on top of the initial scoop of meat filling mixture on the wrapper. But after a few tries, the folks at my New Year’s Eve party got the hang of it in good form. It’s tedious work, I’ll admit, making dumplings. That’s why the dumpling party is such a tradition; everyone helps out a little bit, and everyone eats. You’ll end up forming an assembly line, with one person rolling out the dough, perhaps, a few others at the filling and folding station, and another in charge of the pan-frying operations. Everyone’s focused on their own tasks, while talking, and everyone’s working toward the same goal, getting to eat the stuff, together. As it turned out, I didn’t take photos the night of the actual dumpling party, but liked the recipe so much that I made it again the next day, alone. It was not quite the same experience, but it was still worth the effort. If you ask me, these dumplings are good enough to trump both their inspirations: the cheeseburger, and the Chinese dumpling. But maybe that’s because I’m bias, being half-Chinese and half-American, too. unstuck from the pot and ready to eat! -a mixture of soy sauce and ketchup! 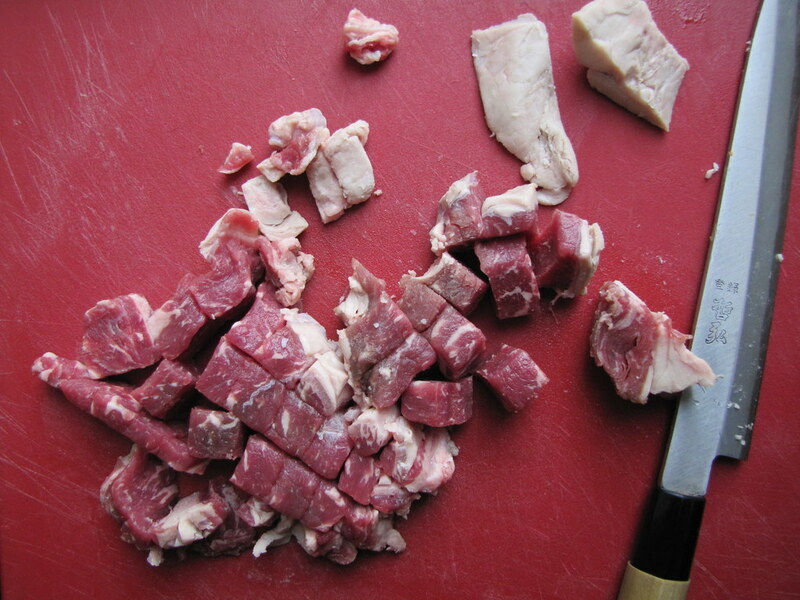 Place the steak cubes to a food processor and pulse several times until evenly minced, about one minute. Transfer to a bowl, and season with the salt, pepper, Worcestershire sauce and mustard. Cover and chill for at least 30 minutes to marinate. In a wide, heavy-bottomed skillet cook the onion rings with about 1 tablespoon of oil on very low heat for 10-15 minutes, stirring occasionally and seasoning with salt, until softened and lightly caramelized. Remove from pan and set aside. Place the four in a large bowl and add the water all at once. Mix with your hands until dough just comes together (you can adjust with more flour or water if necessary). Turn onto a lightly floured surface and knead dough for 5-6 minutes, until its surface feels smooth. Let rest for another 5 minutes. 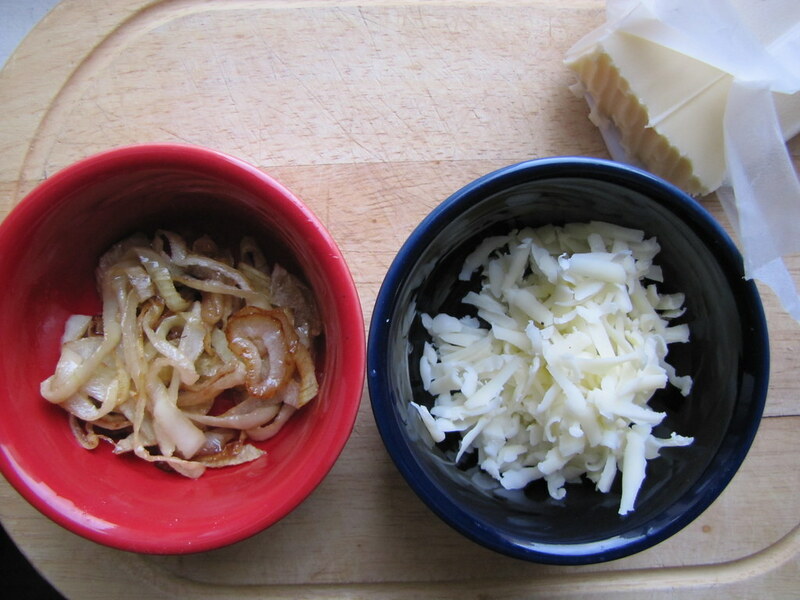 Add the shredded cheese to your marinated meat mixture and fold in evenly. 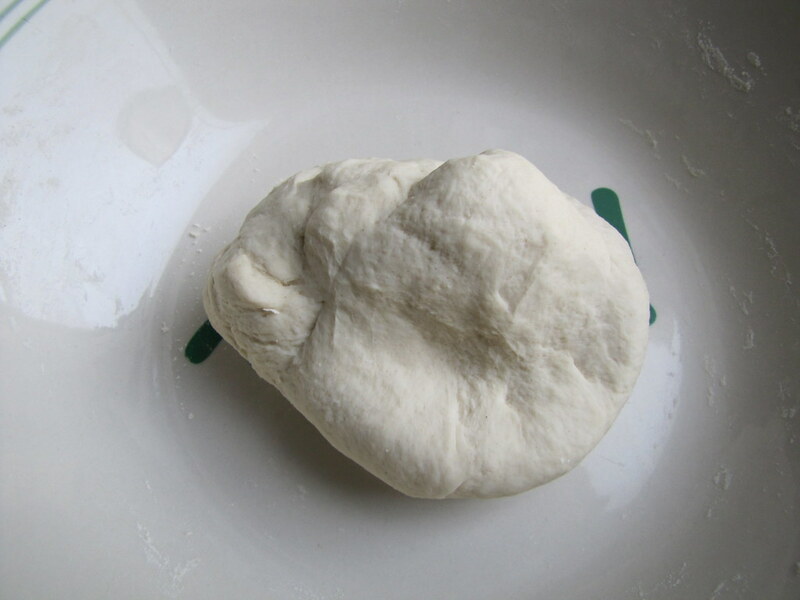 Take a small knob about 1 ounce of the just-kneaded dough and smash flat onto a lightly floured surface. 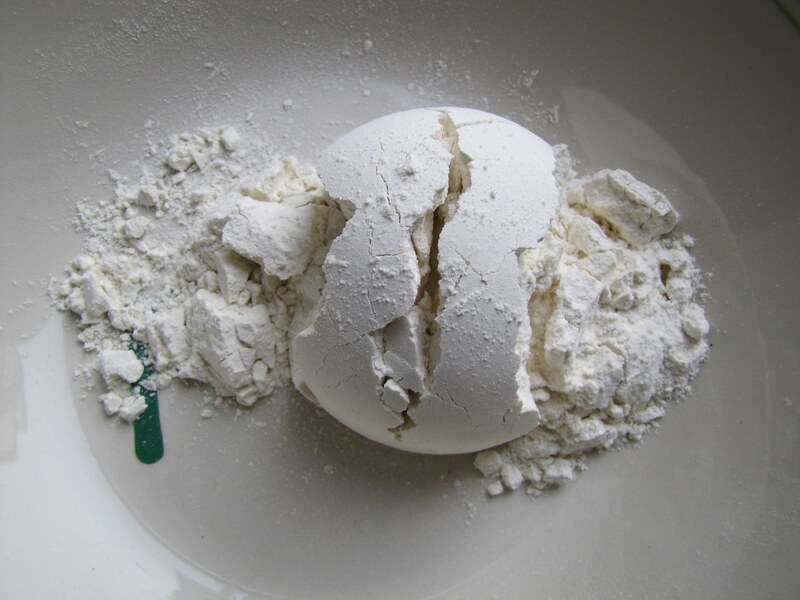 Roll into a 3-4 inch diameter round with a floured rolling pin. Place a small scoop of the filling into the center of the round and top with a pinch of the caramelized onions. Pinch the edges shut (see above for more instruction). 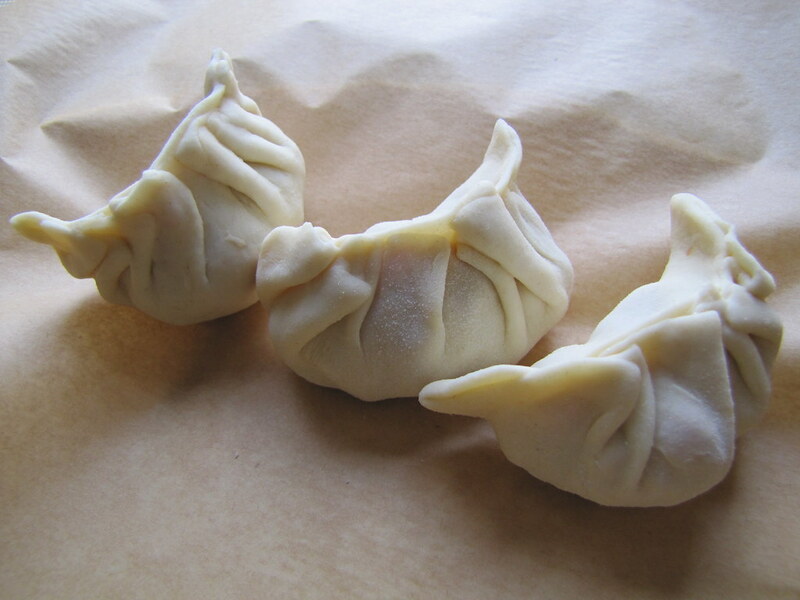 Once they’re sealed, set your dumplings on parchment paper or a floured surface until you’re ready to cook. In a large, wide skillet with a cover, heat a tablespoon or so of vegetable oil on medium-high. Place your dumplings on the pan in a circular formation, and pack the pan with them so that the dumplings are just touching one another. Let cook over a medium-high flame for 1-2 minutes, until the bottoms are just lightly browned. Add about 1 cup of water to the pan and cover immediately. Reduce heat slightly and keep covered for 3-4 minutes to steam the dough and completely cook the meat. Remove cover and cook off any excess liquid uncovered. Dumplings are done when the skins look slightly translucent and the bottoms are crisped. Carefully remove the entire formation of them with the nudge of a spatula and turn onto a serving platter. Serve immediately with dipping sauce(s). Eight brownie points: These are some juicy dumplings, even after decreasing the marbling of that steak. After a few ones spurted their juices onto the plate I could see the fat begin to solidify, just as if I were eating a dripping hamburger. I might consider taking down the fat content another notch next time. After all, it’s got cheese in there, too — so much for the New Year’s resolution! 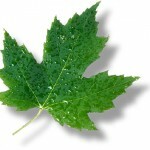 Six maple leaves: I’m happy with the steak I tried from Greensbury Market — its flavor was pretty sublime — and am really glad there’s another online source for quality organic meats. However, it makes more sense for me to just get something from a local small farm at the Greenmarket, as it doesn’t need to be shipped to my door (meaning a bigger carbon footprint and packaging waste). I’m lucky to be living in a place with that option so readily available to me. this is being printed out after I finish typing. what a way to kick up your basic dumpling. love it! Just adorable and I love the whole traditional American spin on the filling! I bet these would be a nice appetizer for Super Bowl parties too. Nice. Perhaps wasabi mayo for dipping? A very unique twist to a traditional meal. I might try this sometime as you may be on to something. Something that everyone else is missing out on. I’m having trouble finding the words here. I have a *thing* for cheeseburgers to put it mildly and now you’ve put them in a little easy to eat dumpling wrappers? Greatest idea ever! I love it. They look and sound great. I’ve been thinking of fusion ideas for dumpling ideas for a while but, even in the confines of my head, hadn’t pushed it that far. We made these last night and they were so good! We had a little trouble with the dough, but I think that’s a matter of practicing more. I’ve heard great things about grass-fed beef from Greensbury Market. Thanks for the recipe idea! What a great idea!!! Beautiful website! Awesome idea. I changed up the toppings a big, jack cheese and jalapenos. Definitely going to be a Super Bowl item this year. i tried this last weekend and loved them. i used grassfed ground beef (grazin’ angus), and was very, very happy with the results. thanks for the idea! 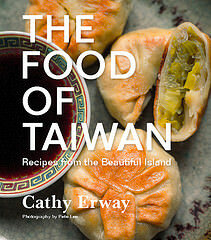 I was totally inspired by your dumpling party and hosted one of my own recently. In addition to the cheeseburger filling, each of my guests brought another, unexpected flavor for us to experiment with. It was such a success! Thanks for introducing me to such a versatile recipe. Yum! This recipe has YES written all over it. I’ll give it a try. Looks fab!